Not sure where to start? Begin your Crystal Healing journey with these Must-Have crystals for beginners. Seven essential crystals NOBODY should be without. So Many Crystals, Where Do I Start? The Crystal Kingdom is vast and with many newly discovered and rare crystals catching our eyes in the shops, or on Pinterest, Facebook and Instagram. If your new to Crystal Healing it can be overwhelming. Perhaps you’re not sure where to even start? Maybe you have been distracted by some of the more exotic crystals and your crystal collection is lacking some of these core crystals. This article should help. Why These Crystals For Beginners? I recommend these crystals for beginners firstly because they are must-have crystals. I do not think your crystal collection would be complete without these stones. Their properties and uses are so valuable yet they will not cost you the Earth! Affordable, easy to find and all with uniquely different energies. Tumble Stones or Crystal Points? Please note that all you need if you are just starting is a Tumble Stone which are easily available everywhere. These polished crystals are easy to carry on you and place on your body or Chakras. 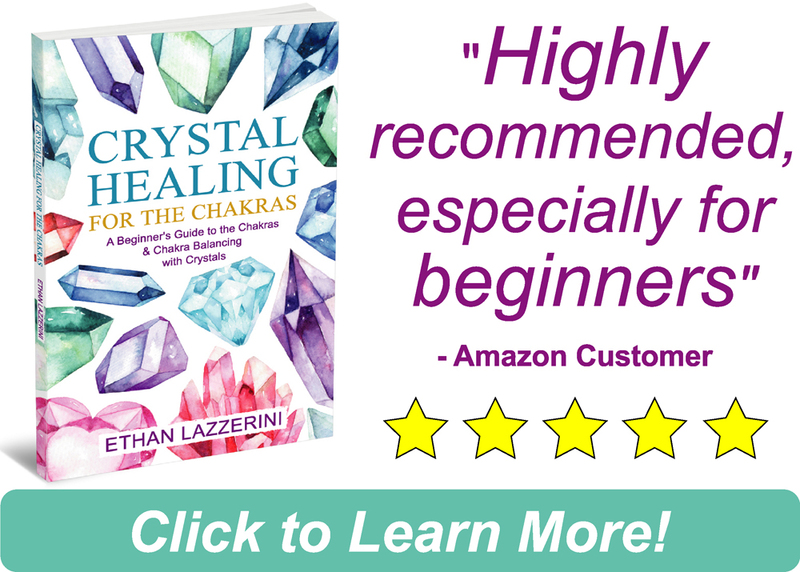 To learn more about Chakra Balancing with crystals check out my beginners guide Crystal Healing For The Chakras. Some of the crystals on my list such as Quartz and Amethyst are also available as natural, polished or cut Crystal Points. These will cost a bit more. They are worth it later on as you progress and start to learn and sense how the form of a crystal affects its energy. Although I include my take on the main properties of these crystals for beginners below to start, never ignore how you feel. Try the stones out and see how they work for you. Meditate with them. You will over time build your own relationship with each crystal. Save this pic to Pinterest! 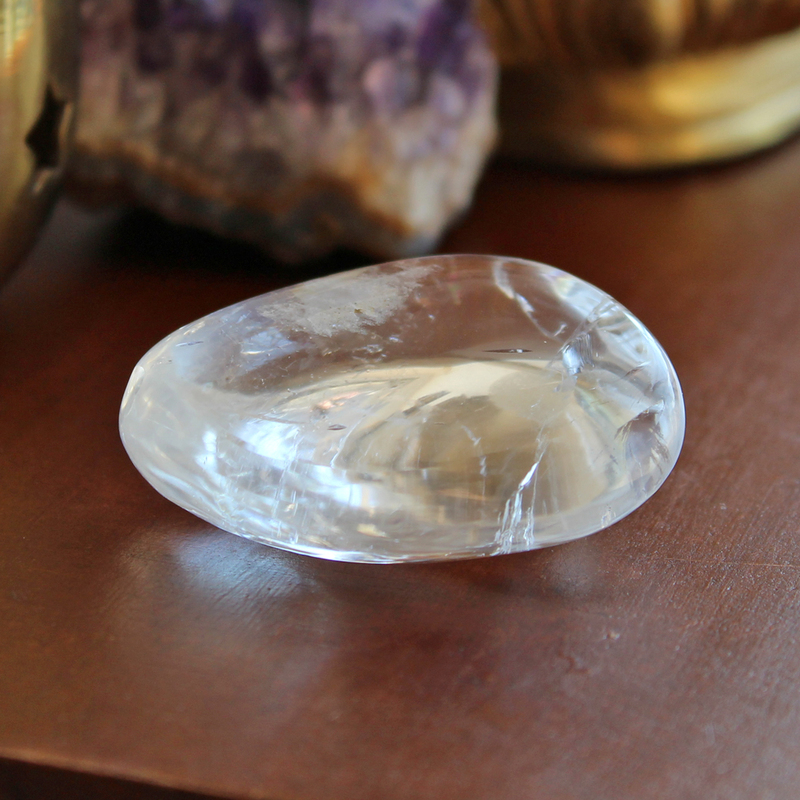 An essential crystal healing tool and a good choice for your first crystal. Do not be fooled into thinking this crystal is boring. Clear Quartz crystals are probably the most versatile crystals and can be programmed for any purpose. They can direct energies and enhance the energy of other crystals. It is cleansing, helps bring clarity while also keeping your energy and aura bright and strong. It may be suitable for beginners but it can still blow your socks off. Super spiritual Amethyst connects you with your spiritual power. 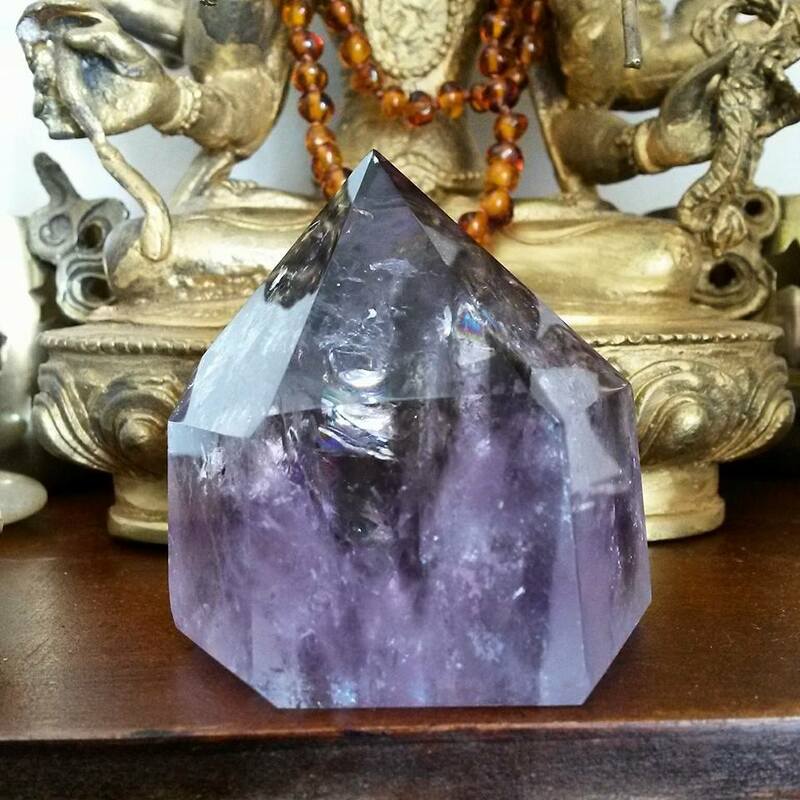 Deeply cleansing, this violet crystal purifies negative energies. You can also use Amethyst for protection and developing your natural psychic abilities. This banded golden brown stone carries a more masculine energy. An ideal crystal for helping build confidence and self belief. You can also use Tiger’s Eye for protection. This golden stone connects us with the Earth, making it a good choice for grounding yourself. Possibly the ultimate comfort crystal. Rose Quartz is the Mother of all crystals. Gentle and soothing, it helps heal emotional pain. Opening the Heart Chakra it allows you to feel compassion for others and yourself. The is the self love stone. 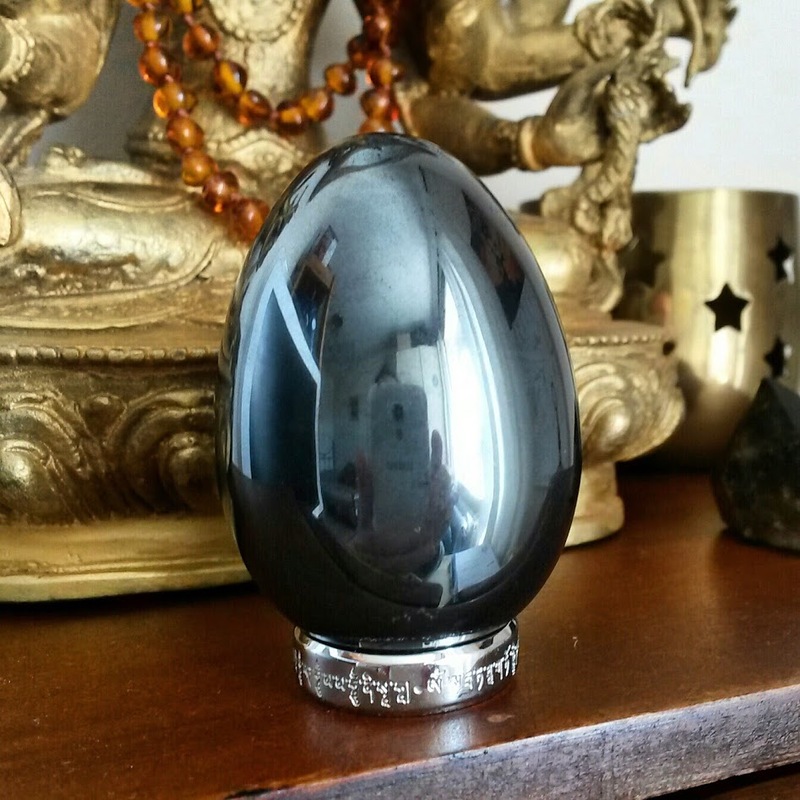 This dark grey metallic crystal shields you from psychic attacks and negative energy. Hematite strengthens your aura while defecting harmful energies, pulling them into the Earth for healing and transmutation. Hematite is the bouncer of the crystal world. This form of Quartz crystal can be brown to smoky black in colour. 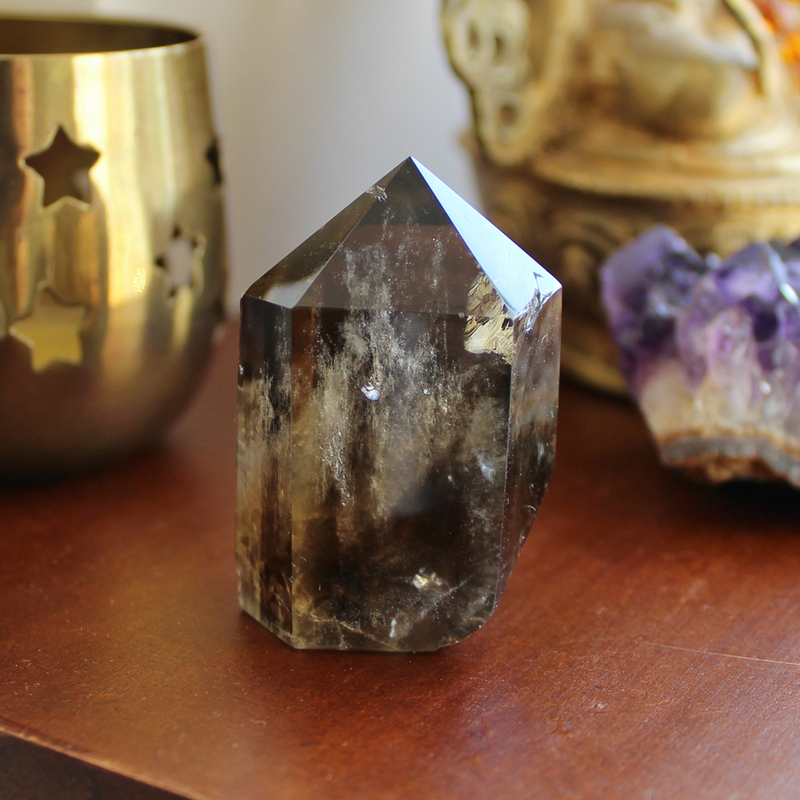 Smoky Quartz absorbs negative energies from around you or those created by our own negative thought patterns. Also another good crystal for grounding and protection. It works with the Earth Star Chakra. 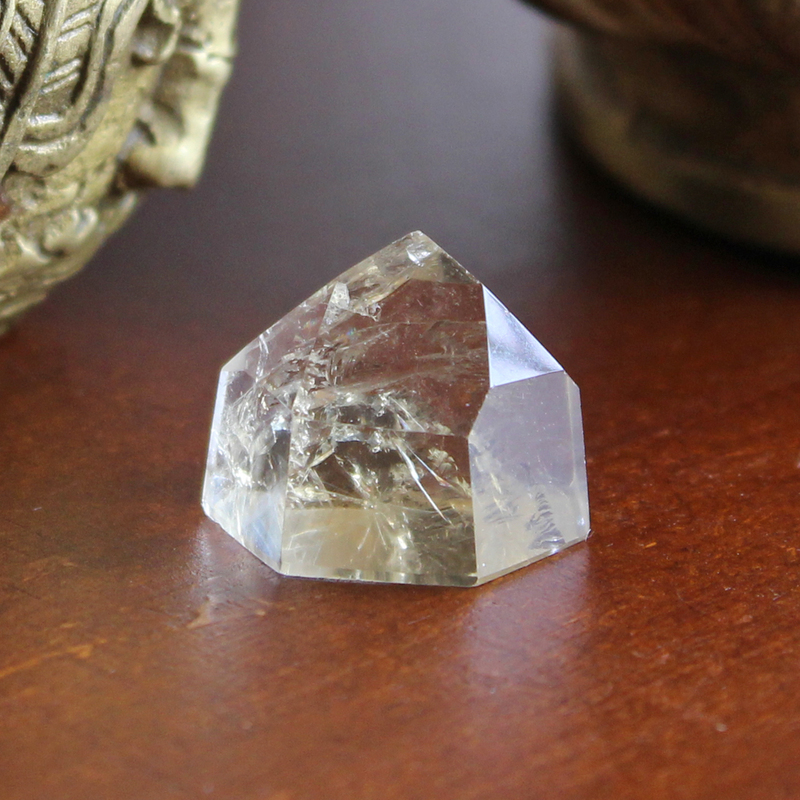 This golden crystal is renowned for its ability to draw prosperity and abundance into your life. Citrine is also good for self confidence as it opens up the Solar Plexus Chakra. This crystal can also be used to detoxify negative energies from the aura and encourage a more positive state of mind. If you’re interested in learning more about Crystal Healing do check out my free Resources section by clicking Here. There is also a Beginners Guide series there you may wish to explore. What was your first ever crystal? I would love to hear from you in the comments below (Please keep any questions you have on topic if you want a response). P.S. If you know anyone who may be interested in this article please share it with one of the sharing buttons at the end of this post. Click To Share This Article! I am 63 years old and have a long relationship with all kinds of stones. My father was with the State Department so I grew up in Asia but travelled with family to many places. My love of stones apparently began when I was 5 years old. We had visited the Parthenon in Athens and I picked up a small piece of marble that I stashed it in my pocket. Totally aginst the law but I couldn’t read yet. I picked up rocks everywhere we went and still do. Crystals have been a huge part of my life for 35 years. I enjoy reading your work very much. One can never stop learning, right? Yes I think I started as a child with stones on the beach and other places though I do not have a piece of an Ancient Greek Temple! Glad you are enjoying my writing Lisa and yes I am learning all the time too and don’t think I will ever stop. I very much enjoyed all your articles. I was never interested in crystals, until I had a strange experience very recently, and was drawn so strongly to a stone called Rhodochrosite. I could not stop thinking of it, and it started a whole area of study for me. Your articles are straightforward and fun to read. My first was amethyst. I closed my eyes and the vibrations from it, made me but it! Makes a lovely pendant and makes my day easier. You can never have to much Amethyst! Thanks Susie for your positive feedback, it means a lot to me! My first real crystal was a lovely Amethyst generator. My best friend had just passed away and I was devastated. I came across the Amethyst at work and brought it with me as I traveled across the country to attend the memorial service. That Amethyst took very good care of me and opened me up to the whole world of crystals. I constantly study and learn and collect and have included them in a daily meditation. It also prompted me to start to make crystal jewelry. In other words crystals changed my life for the better. I just happened to stumble onto your site today and wanted to say thanks for sharing your knowledge of crystals. I have grown so much and will continue to grow and learn with the wonderful energies of crystals. My first crystal was my amethyst. I love it. I do have an array of tumbled crystals that I purchased at Earthbound store at the mall. I haven’t actually sat to study each one as of yet, but I do own the little crystal bible book. I will look into your tabs on another day. I was glad to read what these beginning crystals are used for. On a personal note, I gave my daughter in law a bracelet with rose quarts and i ended up having a grand baby 9 months later. Made for a happy grandma. My very first was a gift from my godmother. a little pink quartz. Very disappointed, (I was about 6 years old) I put it in a box and forgot about it! More than 30 years later, I read your articles , read your e-book and I remembered this little stone and found it !!! Today, I made my own grid , thanks to you, and I love it! I have so far about 20 stones chosen one by one! Thank you again for sharing such knowledge with us . Tiger’s Eye is probably the crystal that I’ve been drawn to more than any in my life. I feel that it does help me build confidence when I use it. I’m also a Capricorn, being an Earth sign would naturally draw me to toward a crystal with high levels of Earth magic. My very first remberance was of ring that my dad got me at 4 of an emerald, I wore it all the time, unfortunately I lost it when playing outside and never did find it. I cried and cried. I still physically hurt when I think about that ring. Hi Melody, thanks for the feedback. I use close up photography to capture detail of my crystals so they often appear bigger than they are. Most the pics are just 3cm tumble stones, even the standing points are only about 3 inches high. For personal use and jewellery you only need small stones. 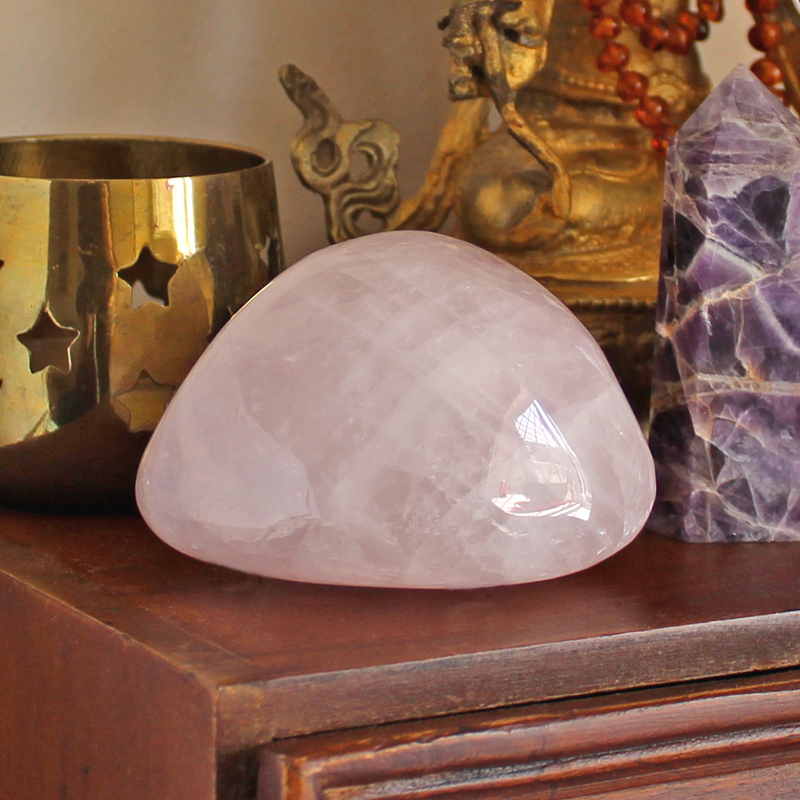 The larger crystal can have more impact but are best for the energy of your Home. I have grown children. When they were young all 3 of them loved The Rock store! They have many stones and can identify most stones and fossils. Of course my kids over the years have given me some NICE gem stones.. They tell me to buy or accept the ones that talk to me. 2of my kids make and sell jewelry. My first crystal was a gift from a friend. It is a clear fluorite. When I look into the crystal, there is a wave of purple inside. Then I got a small magnetized Hematite. I am so glad i came across your site. Though I just started collecting and gathering crystals recently I do remember my first one was a few years back and at that moment I believe it was an amethyst I have always been drawn to them. When I recently started really looking into crystals this time around my first stone was at Garnet. Thank you for making these reads so clear and easy to just take in! My very first one was actually a geo-stone that was whole with a large crack in it. When I finally got it apart it was purple and white crystals. The most beautiful sight to my eyes that was back when I was 5 years old I had it all the way up to my first marriage were it disappeared. For the past 1 year where ever I go I find heart shaped stones I am drawn to them and really have no idea as of yet why. In the past year I have gathered everyone of them and have a collection of them going. Black Tourmaline bracelet was my first! Not sure about it. I purchased my first amethyst point crystal in a small shop in Bethany DE back in the late 80s. I was drawn to the beauty and the feeling. I realized that I had collected other stones over the years just because. I would like to take the time to lean more and work with my crystal. Thank you for reviving my interest with a wonderful article. Great article. I just wanna know when you say carry them do you mean in a purse or something or carry it in jewellery? By carry I mean place crystals in a soft bag and carry them in your pocket. You can also put them in a purse or something more suitable. Needs to be close toy uour body for best effect. If better to use jewellery use that. This was a great article to read as a newby in the crystal game. I have no clue where to even buy them and know that they’re real. Do you have any online stores you can recommend to buy the real thing ? I got a chakra stone set from my wife a few months ago. The stones were red jasper, carnelian, citrine, aventurine, sodalite, amethyst, and crystal quartz. I have learned to love them all but I was very attracted to sodalite and it was the first one I grabbed and held. I love using the chakra cleansing stone set but I much prefer using the stones for other uses. I have loved crystals and stones since a small child.i have always been drawn to them.the first tumble stone i bought was a carnelion. I couldnt resist it even though it was only small.i liked the feel of it in my palm.years later when studying it i discovered it had an eye inside. What does this mean?and what can i use it for? The eye formation could indicate that the stone is good for psychic protection. My dad was a tile/marble setter. He would take me to his shop, and I would pick pieces of marble. He brought me a piece of Onyx that broke off a coffee table.. I then picked rocks and fossils everywhere they could be found. My first stone was the rose quartz. My step mother gave it to me in 2001 when her and my father got married. It came in a sterling silver dolphin pendant. Also the dolpihins where positioned around the stone in the happy position. I loved it so much. Then after my eight year abusive relationship I had left it at a friend’s house and for some reason I can’t get our schedules to match up so I went out and bought a rose quartz rubbing stone and a few others. I began to go to a mental health clinic to heal my brain from the abuse and because friend’s with many people. I ended up giving my rose quartz to one of them because she was always anxious in class and I knew it had helped me before. She says she still has it and uses it often. I need to get more of every stone. Today I have my clear quartz on me. Since I have been away from my abuser I have become more spiritual. And I love it. I love the way I can feel so much more of the earth and the way I can feel the negative and positive energies from people. Yes that sounds an amazing find and possibly holds a message for you. There are lots of propeties of Agate but one of the ones I feel is important is inner strength. They are also grounding and banded Aagtes can be very protective. Hi Ethan, my first stone was a Rose Quartz I found at an artisan market last year. I lovedit and it opened me to the world of Crystals. Unfortunately it fell and broke and I buried it just today. I bought a new one today (along with others), and I’m gifting this new Rose Quartz to my little daughter, so that will be her first. Thank you for this article and this website! I just stumbled upon it and looks like there is a lot to discover! I do not remember what my first crystal was…. maybe a quartz?? Ever since I could walk I had stones clenched in both hands .. mostly things I found in a garden etc … growing up I collected crystals, rocks and stones but never explored their meaning until recently. I don’t even know what most of them are .. I collected them for their beauty. I am excited to bring my collection back into my life and discover what treasures I have! Ps I started this collection in my childhood – 20s … I am now in my 40s ….. better late than never! What crystals do you recommend for in the bedroom? For a restful, peaceful, pleasant dream night. I sometimes cannot shut off my brain, so I do not get a very restful night. Any suggestion(s) would be helpful. Thanks! I have a sleep Crystal Grid in my Crystal Grids Book and may cover crystals for the bedroom in future articles. Try Rose Quartz or Turquoise. Thank You so much for all the effort if your beautiful easy to understande written blogs and explantains. I and very grateful to have come and cross your pin and then your Web page. 1st crystal I found when walking along a river bank was Pyrite but didn’t know at the time what it was. I was 5 years old. I liked it and held on to it till I got my 1st job at 18 years and then it seemed to vanish. I was given as a present a pair of earrings with Ruby on my 16th birthday but again lost it when I started my job at 18. Was also given hematite bracelet and necklace which to date I have it but at the time I didn’t know what it was. Just loved wearing it. At the age of 26 I came across a shop called mysteries and bought my crystals again not knowing anything about them but liked it n felt I needed something to let me carry on in life. Bought Clear Quartz pointed one end, rough geod form Amethyst, Cirtrine and Labradorite. Have since learned Reiki. Aromatherapy and Crystals and never looked back. I am ever so more hungry to learn more and always looking to increase my knowledge. Thank you for this article! I’ve always been attracted to Amethyst, I’m going to buy one and Hematite, do you recommend any stones that help with pressure and stress, such as Exam stress? Thank you! I’ve been reading a few of your posts as I am just starting out with crystals. I’ve been interested in learning about crystals healing and where to start so I haven’t purchased any yet. After reading some of your posts, with how clearly and easily you spell it out for people I feel so much more confident. I can’t wait to read more and finally go out and find some stones that speak to me! My question to you Ethan is would you recommend purchasing a few crystals starting out or starting with the one that speaks to you most and working with that for awhile first? Long before I was drawn to crystals and stone they were drawn to me. That may seem strange but for some reason people were always gifting me with them. I was probably 10 when my younger sister gave me my first crystal, an amethyst I still have, and from then on I seemed to get a new stone from someone several times a year. A couple years ago I was drawn to a crystal in a powerful way. It wasn’t labeled but I got it anyway and only a few days ago did I come across what I think it is. It appears to be a piece of baked amethyst and I was wondering if the properties would be the same as regular amethyst. Also I’m wondering why I was draw n to it so strongly. I have never felt that drawn to regular amethyst before. Any ideas? Hi Megan, I feel that heat treated Citrine has a similar but less powerful energy than natural Citrine. I have used both. I don’t remember what my first stone was, as I was always picking up rocks as a kid and when I was in middle school my parents and I had a small jewelry business with semi-trucks stones. We had a lot of Native American Indian friends and we were invited to public pow-wows for several years, socially and with our jewelry. I was extremely attracted to the gems, especially malachite and amethyst. That was 20+ years ago now. I never used the stones for anything other than decoration or jewelry. But I’ve always had a strong attraction to them. I’ve continued to pick up rocks wherever I go, even though I’ve lost a lot of them over the years now. Recently I’ve been called back to the stones, in an even stronger way than ever before! And in a different way now, for healing! Emotionally and physically. I never looked into them for that in the past, but I knew they were used for that. So, here I am, at a new stage in my life, using knowledge I’ve always had in a new way and adding to that knowledge. I pulled out my small collection of stones recently and laid them out next to the new ones. I found it interesting that my older ones were mostly grounding and amethyst. Thank you for this great article! I have 2 to add to my collection; tigers eye and rose quartz. I can’t wait to take a better look through your website for more information. Just finished reading all about the beginning 7 must have Chrystal Stones. Were do I purchase all of the stones? Hi Louise, if you’re drawn to raw formations then you should use those. Polished and tumble stones are more portable. For information on cleansing please read my article How To Cleanse Crystals Safely or visit the Resources page. I’ve read in some book that carnelian is good for right side of the body. If it is true, what crystal will be hel;ful for left side? They are Pink Agate, Tourmaline, Obsidian, Amethyst, and Clear Quartz. Hi Ethan, it feel so great to come accross ur post. I start to like crystal and have myself some of the below. I’m currently picking Wicca back up and your article was exactly something I was looking for! This was extremely helpful to me on my journey to become a better person. Thank you! Do you perhaps have any other articles here that might be of use to me? I’m going to bookmark this site so I can come back to it when needed. Again, thanks for writing this, it was very helpful! Awesome!! I honestly wasn’t sure you were going to reply, since this article is a few years old. But thank you for doing so! I greatly appreciate it, and intend to use that link. Thanks again! Why don’t all of the rose quartz have roses on them ? Hi Ethan thank you for your beautiful articles very Clear To understand! I have bought your books. But I d like To answer to your question : my first crystal through which I started my crystal journey was a jet … jet is my stone. Thanks for your support and feedback Francesca! Always drawn to the amethyst, my first crystal….the first time I wore my cleared pendant, my dreams were all over the place! Now, I have just learned, from your guidance, it has always been my guardian stone! It called to my spirit and finally I listened! It ran very close to the quartz clear crystal. When I wore both…I felt like a power tower receiver! I had to remove them to get used to the incredible power I had never felt before. I have always known of my pisces cusp birth powers but this was incredibly strong vibrations! I am excited to finally learn to tap my internal gifts!! THANK YOU! I am sort of overwhelmed to start but my amethyst n quartz are great guides and protectors. I have been under attack from family and used to be friends, medical “professionals” and neighbors….DO THEY SENSE SOMETHING AND TRY TO DESTROY ME? Not now! Thanks or sharing your Guardian Stone story Denise. Amethyst is powerful and Quartz will enhance it even more. my very first crystal was a lovely clear quartz. I still have it, it’s been with me almost 20 years now! At one point it was broken in two, but it is whole now and has ben so for a long time. I have six out of your recommended seven, by the way. The one I’m missing is hematite. My favourite is blue lace agate for its gentleness and calming energy. It’s my ‘guardian stone’ to use Denise’s lovely and fitting words. I carry a piece with me wherever I go. It keeps me calm, and takes away my worries and stresses. Always. I love falling asleep with one in my hand. It calms me down and takes away the jumble of thoughts and emotions that I have been carrying with me throughout the day and allows me to gently drift into sleep. I have a very special tumbled one, very beautiful and smooth, that does this particularly well. I have brought it from a trip and it always reminds me of that special time. Blue lace is beautiful to look at, blue summer sky with white clouds in it. A calming image to keep in my mind ;-). I have a special connection to it, I have had it since I first laid my eye (and hand) on my very first one, which I still have, by the way . Each peace I have, has places/spots on it that I love to always keep my finger/fingers on. and move/rub them along it. That deepens my connection to each peace (and its own unique energy) and helps concentration and mental maps forming. Thanks for the article! I love Blue Lace Agate too and yes such a calming soothing crystal. The colour is just like yu said. I just remembered, right after my previous post, above, that even before my first bought quartz (as described above) came my rock quartz pieces, which I found and collected in Algonquin park (Ontario, Canada). There used to be a beautiful quartz vein (surrounded by pink granite), sadly it’s gone now. I have some other pieces from the same park, from that same time, but different area (with some fond memories attached). That’s what started me on my crystal journey and my interest grew from there. I have a large crystal collection and it’s still growing. I’m really glad I found this website. Thank you for creating it. My very first crystal is obsidian… I recently purchased it, I have ptsd and lots of emotional baggage from grief I’ve never dealt with for 9 years. Hoping to learn more about them. 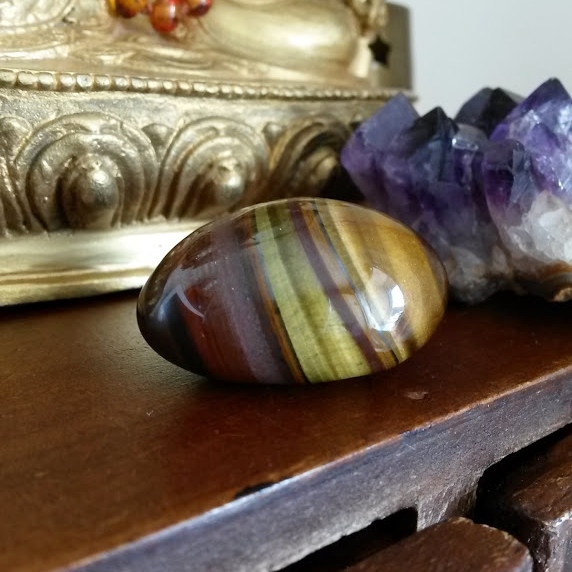 My first stone was actually a tiger’s eye, and I can’t really say how it came into my home, but I do know I have been drawn to it for quite some time. My first stone was an opal. It was a ring that my parents gave me for Christmas one year because it is my birthstone. I have always been drawn to it because the stone is so pretty. It is a white opal. After developing neuralgia, and none of the medications for nerve pain working, I have decided to try crystals. I recently acquired a smoky quartz and can’t keep my hands off of it. I do have a question. Is Tiger Iron the same as Tiger’s Eye? I was looking at a picture and they look so similar that it made me wonder. Thank you so much for this article. I am now going to start my collection with these stones and crystals. My first stone was a green aventurine given to me by a friend for my 15th birthday. I still have it. About 15 yrs ago I purchased a native American necklace with different animals carved from different crystals. Now I know why I chose it. Thru the years I have bought turquoise, hematite,jade, Larimer and aquamarine jewelry. When I think back to the time of my purchases and life, it all makes sense. Recently I was in Seattle at a jewelry shop…..the aquamarine bracelet called to me. Later I realized it was my deceased sisters birthday and this was her birthstone. I stumbled across your website today. It has so much information that has sparked my interest and love of crystals. Thank you. When I hopped onto your website I noticed a beautiful crystal on your front page. The one next to the amethyst on the left. Could you please let me know what it is. It’s stunning! Looking forward to downloading your books and learning more. My first crystals were amethyst, quartz and hematite. I purchased your book, “Crystal Healing for the Chakras” from Amazon.com. It’s been really helpful. MaybI share this to my website? You are free to share a link to this article on my website but you cant copy the text or have the whole article on your website though. wow. I never even thoght Crystal healing was a thing. I want to start my journey with a list on whare to start, i have some Crystals, and searched up there properties, but i need a guide. thanks Ethan! What crystal do I need to wear in pocket or purse for finaces, health and to sleep go-to bad restless dreams? Hi, these topics are already covered in existing blog posts. Please visit the Resources Page to find them. You should find what you’re looking for. You don’t have to post this, I just wanted to let you know. Thank you so much for spotting this. Yes, you are right I did not give them permission to use this… I still can’t believe people do this on their websites and use it to sell crystals. I will try to get it removed. Thanks again. I love reading your posts, I’m very new to learning about crystals, and have done a few online courses, but your blog has answered so many of my questions as a newbie. I’ve checked out some of the websites you recommend, that info is so useful. 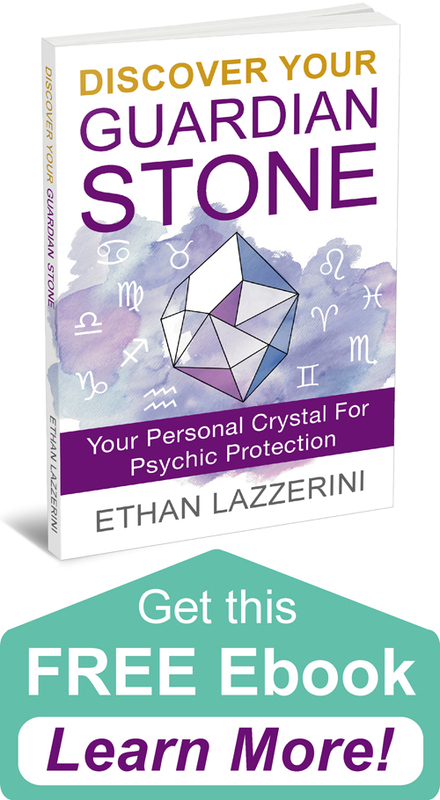 I’ve downloaded your free ebook and just downloaded Crystals for The Chakras on kindle, so I hope to get a better understanding of crystals and their powers. I think my first crystal was a ring with a beautiful golden tiger’s eye stone, which I chose at the age of 15. I’ve always loved tiger’s eye and amethyst, but now I’m developing a love for so many of the beautiful crystals I see. I have started buying a few from The Psychic Tree, would you recommend this company? I see they follow you on Instagram, but I’m not sure about the quality of their stones. Thanks for the positive feedback, it is great to hear. I have not used that website before so I don’t know. Thank you for creating the “must have list of crystals for beginners”. A friend gave me a nice amount of mixed crystals for my birthday and as much as I love the gesture and the crystals it can be overwhelming. This list helps to narrow down the crystals that I will start focusing on and simplifies a lot of my confusion. 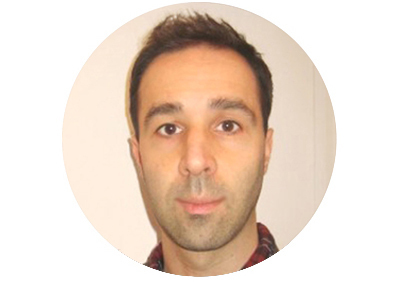 I have been reading a lot on your website, and I am very eager to start using crystals. Your website is so very helpful and informative. Thanks for sharing your story and for the positive feedback, it is always great to hear!